On April 28th, the Milwaukee Theatre will be graced with the presence of a musical great. That's right, folks, Barry Manilow is coming to town. Fanilows, your wishes have been granted! Even better, Ticket King Milwaukee already has Barry Manilow Milwaukee Theatre tickets available. Spend the evening listening to classic hits such as "Copacabana" and my personal favorite, "Mandy." Manilow has wowed music fans for decades and has sold over 80 million albums. 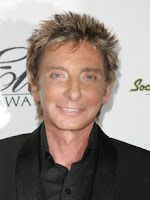 In addition to entertaining, Manilow also produces albums (most famously for Dionne Warwick and Bette Midler) and writes and performs commercial jingles. Manilow actually wrote the jingle for Band-Aid and performed it in a child's voice. You might remember that one: "I'm stuck on Band-Aid, cause Band-Aid sticks on me." He even won a Clio for that jingle. For the past view years, Barry Manilow has been a staple in the Las Vegas entertainment circuit.